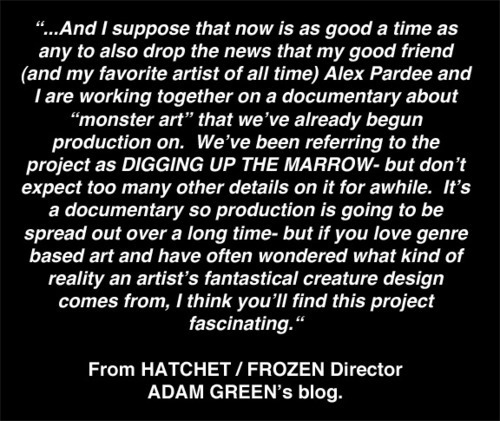 All I can tell you is that so far we are having a blast making this because, well, we both love monsters (of all sorts), and we both love art. Adam & I are like a match made in Hell(raiser). You can read Adam's entire blog post HERE where he spills some more info about all of the Gorillian other rad projects he's working on, including Chillerama, Killer Pizza & Hatchet 3. Stay tuned for Comic Con, I think Adam, Joe Lynch and the rest of the Chillerama gang are going to make quite a (blood & guts soaked) splash. Word.